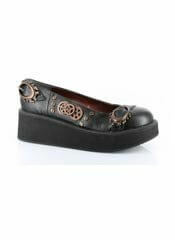 3 3/4 inch heel black PU platform boots with steam punk design. 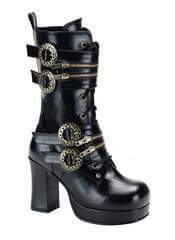 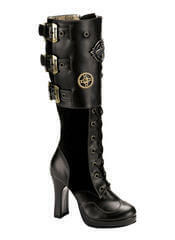 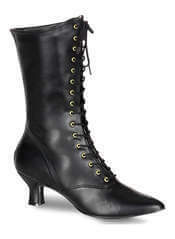 4 inch black Pu platform heel boots with Steampunk design. 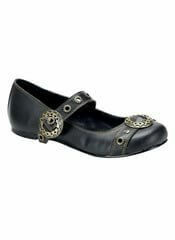 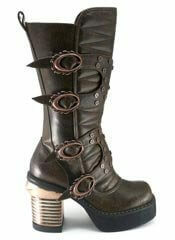 Brown Steampunk peep toe pumps with PU, rivets, spikes, metal butterfly, adjustable straps and elastic by Hades. 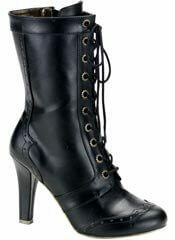 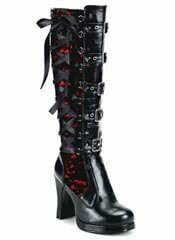 Black PU lace up perforated boots with side zipper and 2 3/4 inch heel by Demonia.